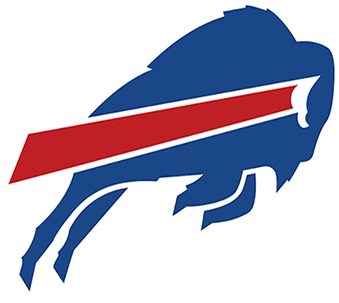 SIMPLY THE BEST BUFFALO BILLS BAR IN SOUTH FLORIDA. PERIOD. 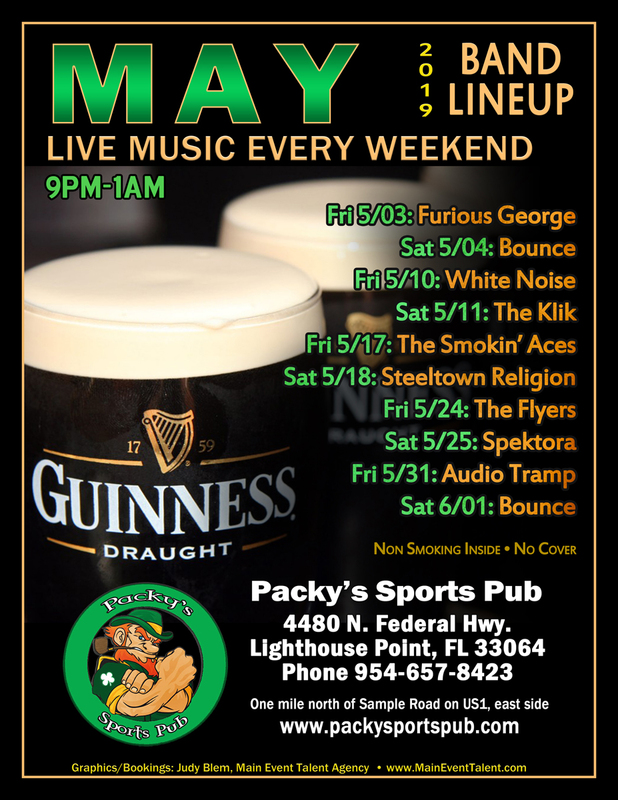 Packy's Sports Pub in Lighthouse Point is known for hosting great live music featuring some of the best local bands. 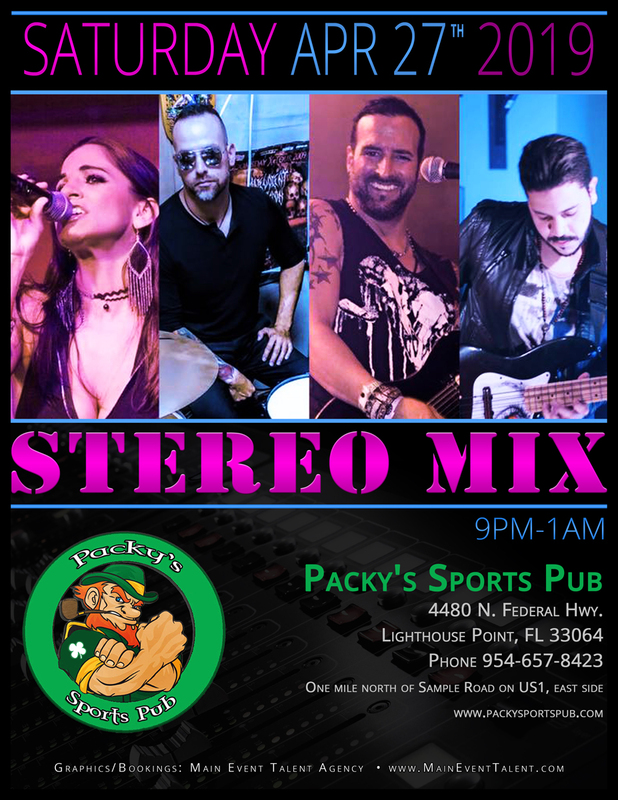 Music is from 9 PM to 1 AM every Friday and Saturday. 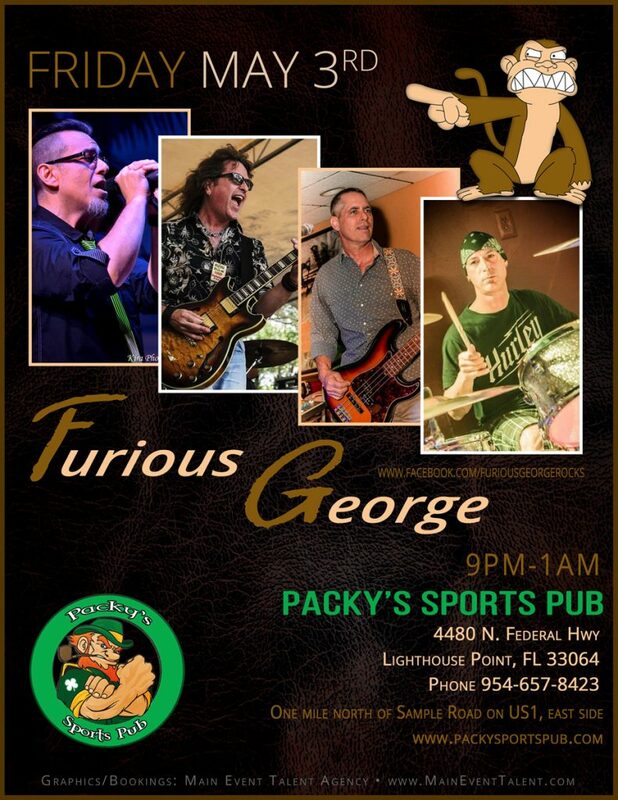 Best of all, there is never a cover charge and Packy's is always smoke-free. 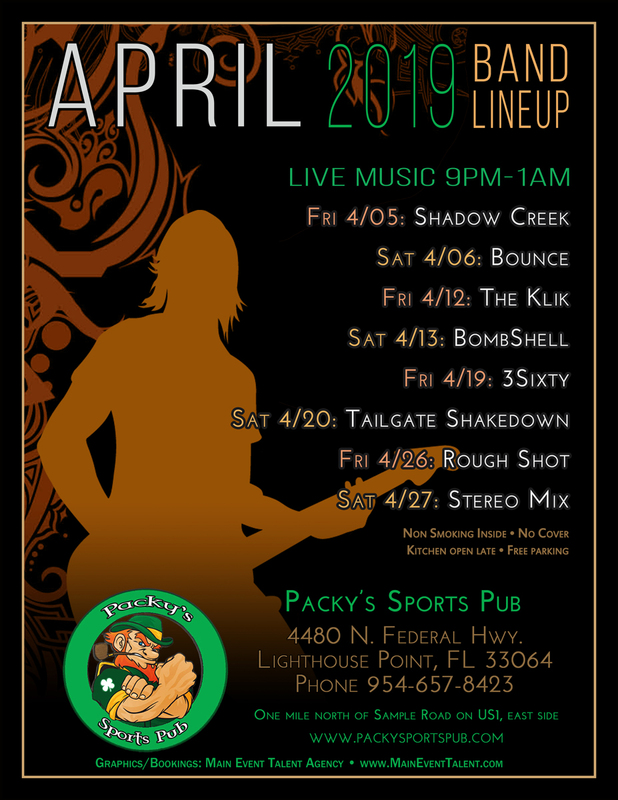 Come early to enjoy some great food and drinks and then enjoy watching some talented artists play your favorite songs. We have two pool tables in the bar that are routinely maintained and re-felted to ensure high quality play. 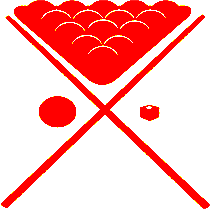 During the week we host several pool teams that can be found competing in the APA league. However, the majority of the time you will find local players competing against each other at all hours of the night. Not only do we have free pool all day and night on Sundays, every Wednesday is FREE POOL from 5 PM to close and we now have free pool from open to close on SUNDAY'S!!!! Packy's Sports Pub is now the only local retail seller of COMPLETE DART SETS!! We have over 65 different manufacturers, styles, weights and price ranges. Some of the brands include Hammerhead, Unicorn, Target, Shot!, Colonial and several others. Try out as many as you like and if you find something you like, buy it. If not, no obligation whatsoever. 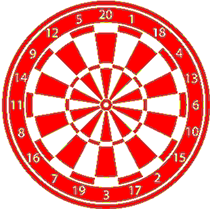 Our sports pub offers 8 steel tipped darts boards located throughout the bar. While many people come in just for a casual game while enjoying our food and beverages, we also offer league and tournament competitions which attract some of the best dart players in South Florida. We are always looking for males and females to join our dart teams which compete in the South Palm Beach Dart League every Tuesday night at 7:30. If you are interested, call the bar at (954) 657-8423. 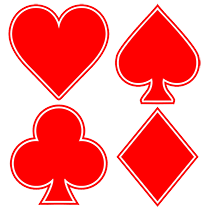 We host free Texas Hold 'Em style poker every Monday and Thursday night starting at 7 PM. There are several sessions so if you get bumped out early, don't worry your night isn't over. 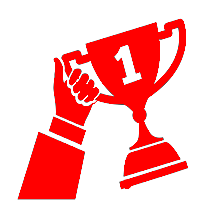 Winners receive prizes, but most importantly, bragging rights! If you play often enough, you will qualify for quarterly tournaments. As your local sports pub, we are committed to showing all of the major sporting events. We have 26 HD TV's scattered throughout the bar to allow you to enjoy viewing the NFL, NBA, NHL, MLB, college football and basketball, soccer, horses, etc. During major events we'll open up the outside patio where we have two more TV's and smoking is permitted. There is nothing better than taking a seat in a nice sports bar while rooting for your team and enjoying some great food and cold drinks. 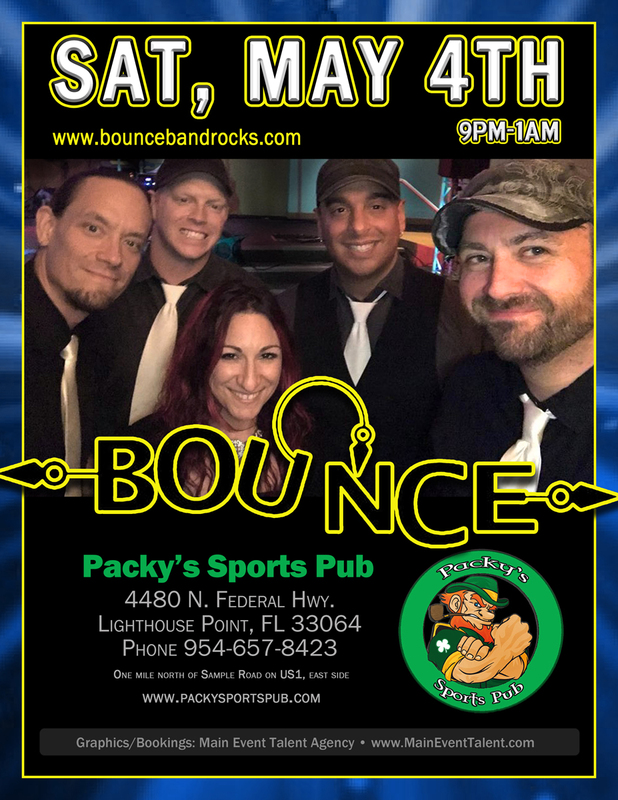 Packy's Sports Pub has another great CHARITY event coming up this Memorial Day Weekend, maybe one of our best yet!! On Sunday night, May 26, 2019, we've combined our event to benefit Silvie Bells and the Leukemia and Lymphoma Society (LLS). As most all of you know, these are EXTREMELY important causes that affect lots of people that we are close to. 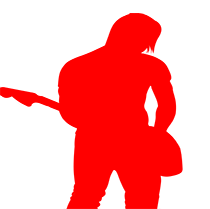 We will have 2 bands (Gypsy Lights and White Noise) that have donated their time for the cause, several raffle items donated from our vendors, customers and neighbors and at the end of the day, we will be donating 25% of the sales to both Silvie Bells and LLS frojm 7 PM to close. Our hope is that we surpass all of our other charity events to date. Please make sure you try to attend and invite all of your friends, family members and neighbors. 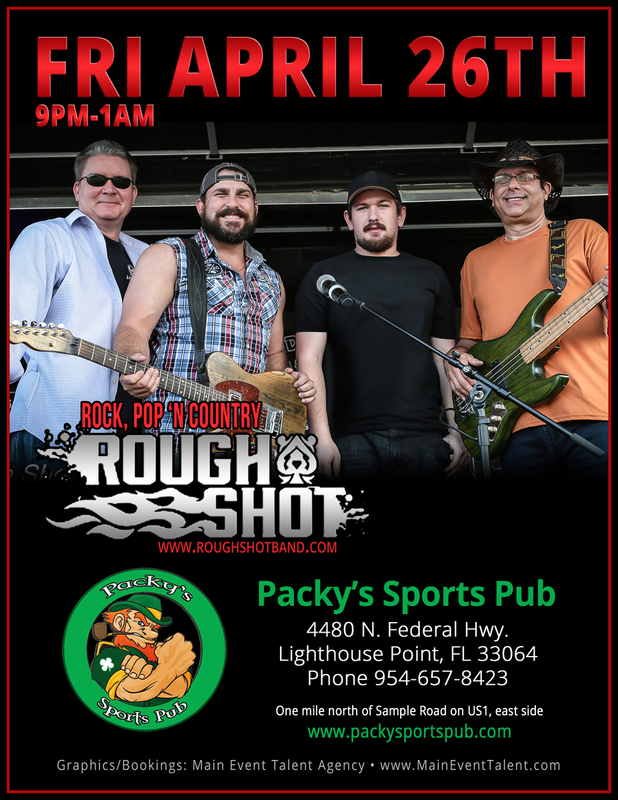 Charity events have always been an important part of Packy's Sports Pub since I took over ownership over 4 1/.2 years ago and throughout the past 4 years, Packy's Sports Pub has helped raise over $20,000 for various charities, including the Broward Children's Center, Pap Corps, Silvie Bells, Leukemia and Lymphoma Society and American Cancer Society. Our goal is to continually be supportive of local and national charities and be the place to be for hosting worthy events. If you are interested in having your charity event here, please call (954) 657-8423. Don't forget to follow us here, on FaceBook and Instagram to stay tuned for more special events on the way.